Made from 95% Cotton and 5% Elastane. Available in Small, Medium, Large & XL. See Size Chart for Sizes. This is the perfect gift for all road enthusiasts! 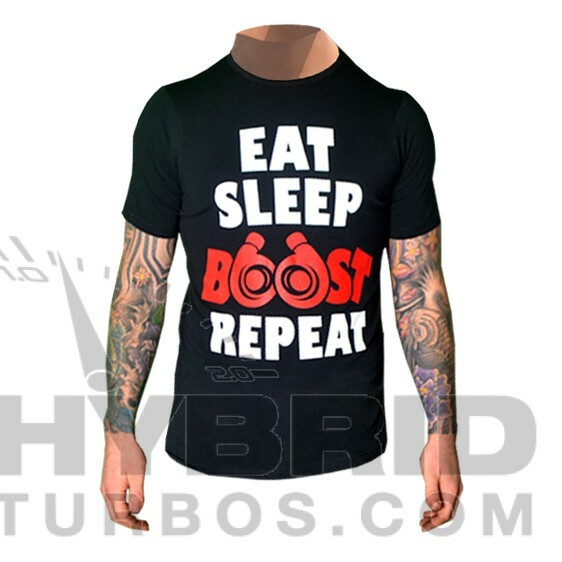 Exclusive to Hybrid Turbos.com, this quality slogan "Eat, Sleep, Boost, Repeat" T-Shirt is available in 4 different sizes. The perfect gift for you or others. Made from 95% Cotton and 5% Elastane. See Size Chart for Sizes.